Window cleaning is not easy and certainly not pleasant, especially if you don’t find it particularly comfortable with heights. Our state of the art equipment, deep expertise and professional approach to cleaning your windows combine to deliver a sparkling clean result – fully risk-free! We want you to see your world, not your windows. We use sophisticated pure water technology to give your exterior windows a streak free shine. Our telescopic pole and brush system allows us to provide a guaranteed streak free shine to your windows while working safely from the ground. 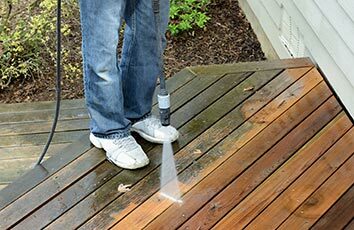 All homeowners know that a full soft power washing project is necessary to give the house its brand new look back. Our soft power washing technicians use task appropriate detergents and low pressure to loosen the dirt and grime, killing the algae, moss & lichen that cause the discolorations on your gutters, siding & stucco. 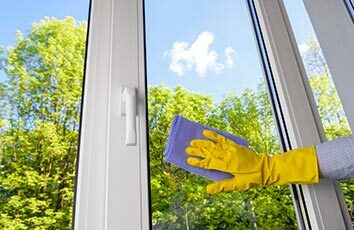 You can say goodbye to dust, dirt and impurities damaging the house, as the whole exterior is gently sprayed with our unique mix of detergents. After a few minutes of dwell time, we use our high-tech injectors and tips that reduce the pressure so we can give your surfaces a low-pressure final rinse. This is what makes your home look like new again. Our professional, trailer mounted equipment delivers superior results, and you will feel that you just moved in to your newly bought dream home again. Gutter stains can be the most stubborn and hard to eliminate eyesores on a home exterior, particularly where your gutters have developed Zebra Stripes. Zebra Stripes (also known as Tiger Stripes) is a term that comes from the drip or line marks that seem impenetrable on your gutters. These are caused by electrostatic bonding. 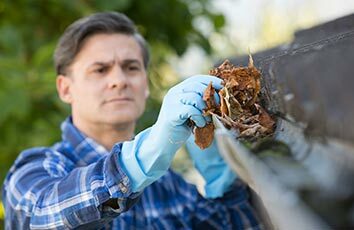 If you have tried to remove those pesky black stripes off your gutters yourself, you know just how hard it is, wasting your time and effort with no significant results. We can eliminate those streaks and stains and leave your gutters looking like new. Don’t waste time, money and effort anymore! Ask Mr. Wright’s for a free estimate and revamp your property with no fuss! We offer convenient pricing plans and schedules which are all risk-free!